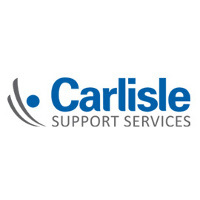 Carlisle Support Services have today announced that they have been accepted as an official NOE CPC framework supplier. Established in 2007, and wholly owned by the NHS, NHS North of England Commercial Procurement Collaborative (NOE CPC) provides collaborative and bespoke procurement solutions to the NHS and other public sector organisations. Through category expertise and harnessing their collective buying power, they deliver comprehensive, compliant and innovative procurement solutions which save the NHS money. • Manned Guarding, Mobile Patrols, Key Holding and Alarm Response, Reception Duties and CCTV Monitoring Services. Additional security services including Bed Watching, Car Park Management and management of the full services through the provision of Security Management personnel. Carlisle was successful in their submissions to support both lots.